A basic contract is what legally binds both parties to each other. This means that when one of the parties does not abide by what is stipulated in the contract, there will be consequences that would follow. 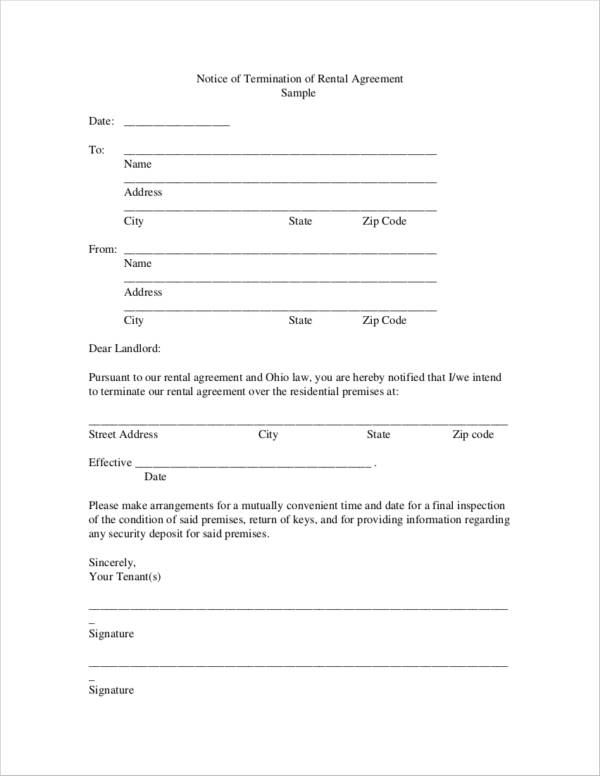 There are times, however, when one of the parties might want to end the contract earlier than expected or opt to not renew the contract anymore. 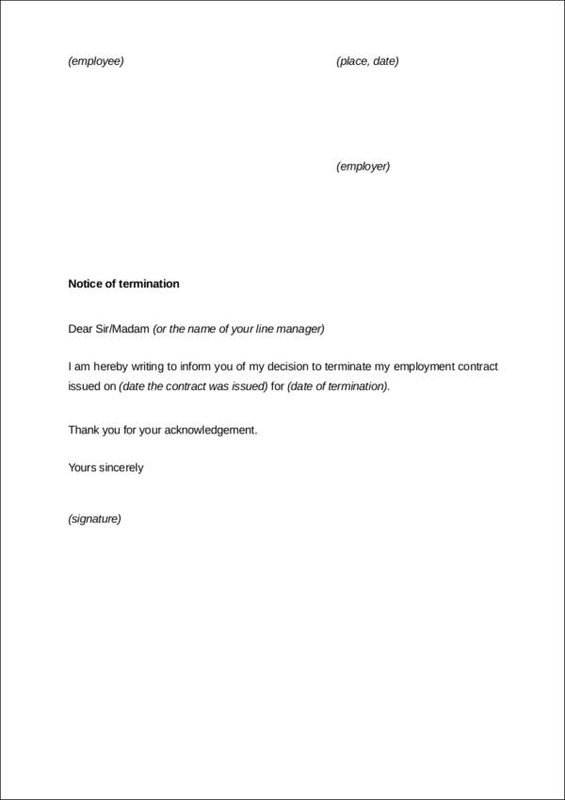 One of the best ways that a contract can be terminated in a proper and professional manner is through a basic termination letter. 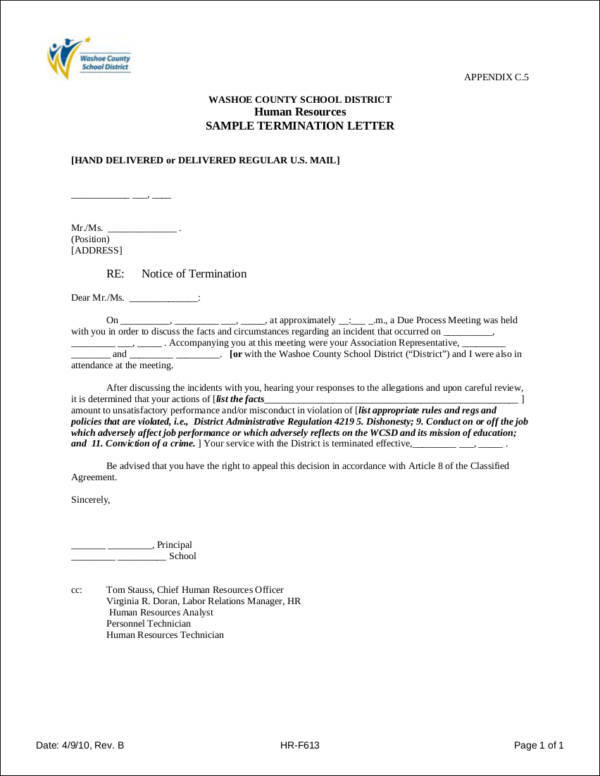 We are not plainly talking about a general termination letter but a contract termination letter to be more specific. 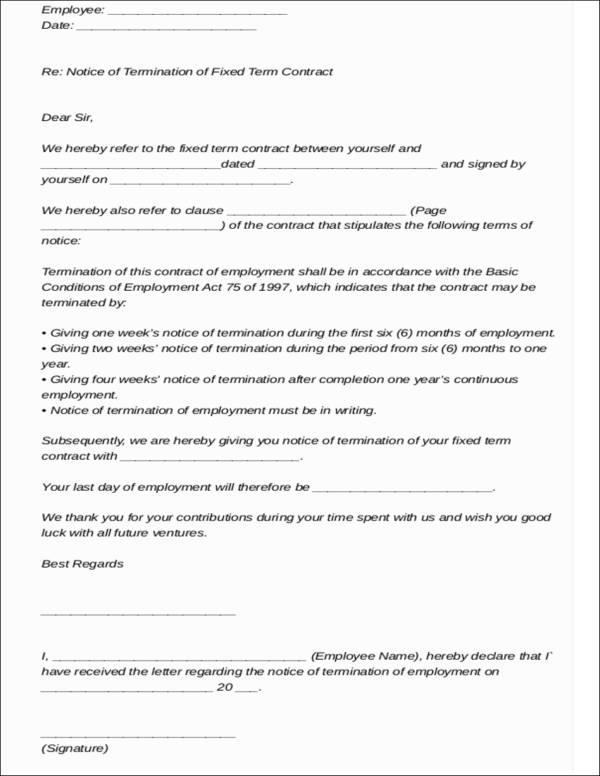 Writing a contract termination letter may seem like such a daunting task and it might be for some of you. But that is okay as we are here to lend you a helping hand—or share a few tips and tricks to writing an effective one. 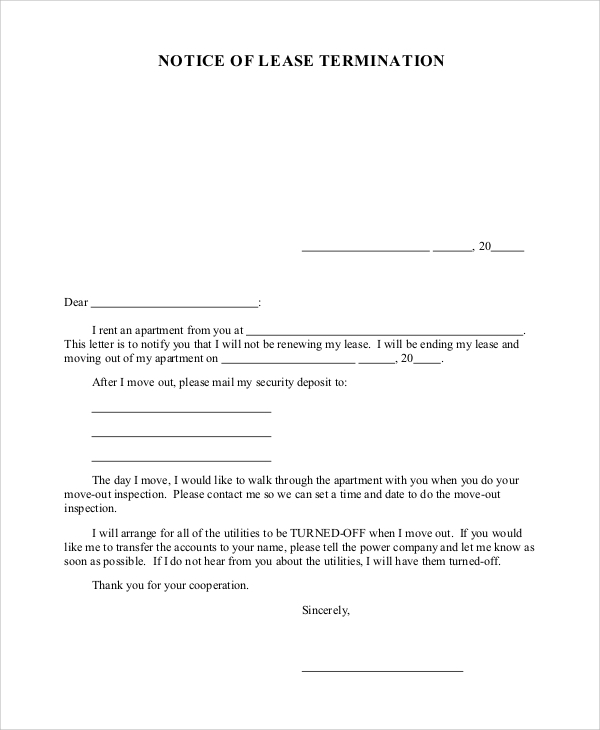 We even have a few sample letters that you can check out and use as reference for writing your own contract termination letters. 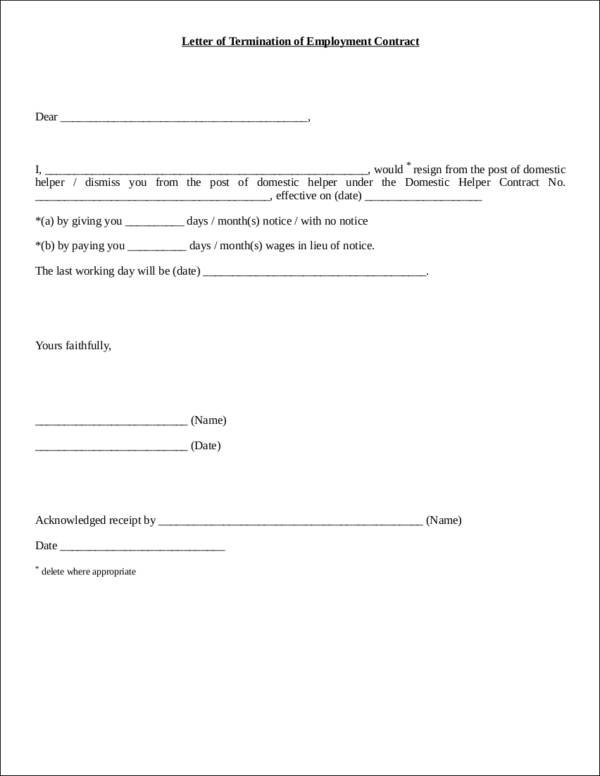 Ready to properly end that contract in a formal manner? 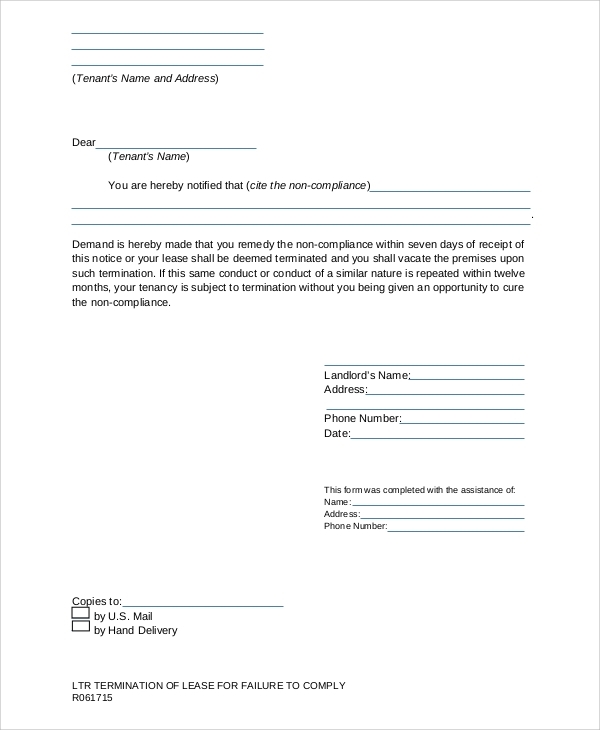 Just keep reading everything that we are about to share with and you will surely end up with an effective letter that will be fully understood by the parties involved with the contract. 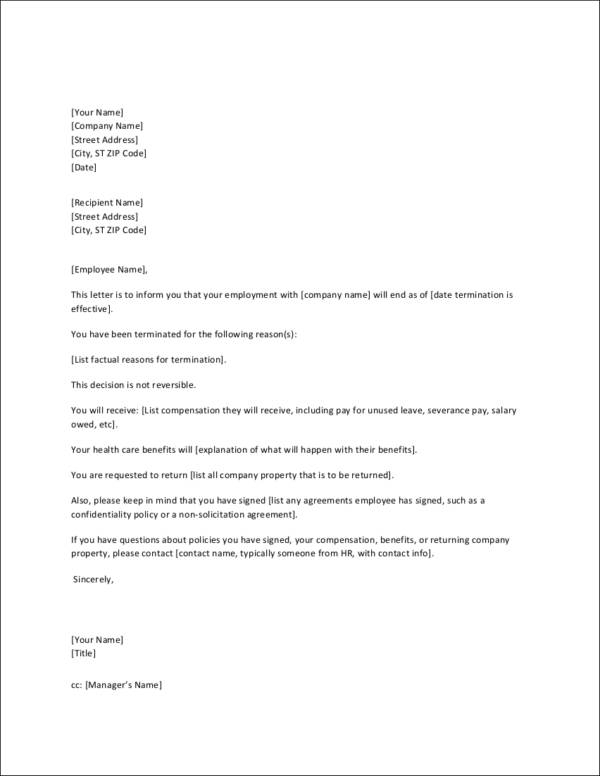 We hope you find what we have for you very helpful and just the thing that you need to ensure that everything that you are writing in your termination letter is just what the other party needs to hear. 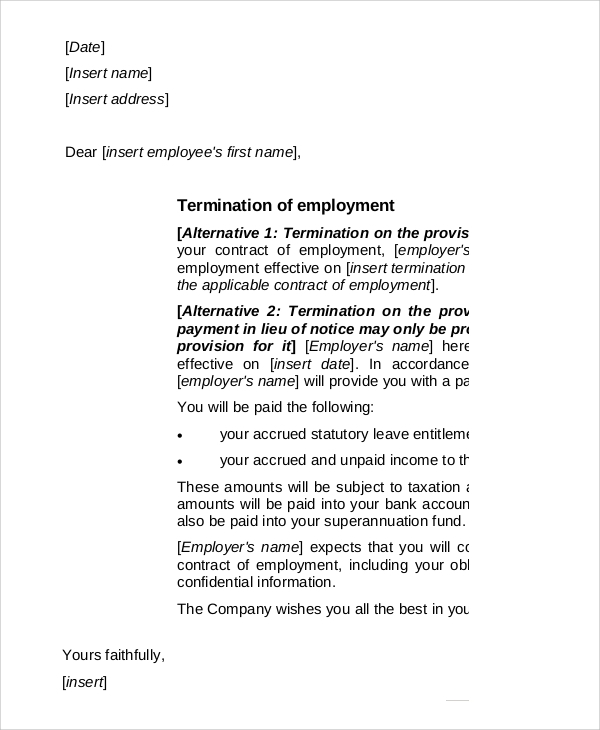 These basic contract termination letter examples are some of the common letter examples for terminating contracts. 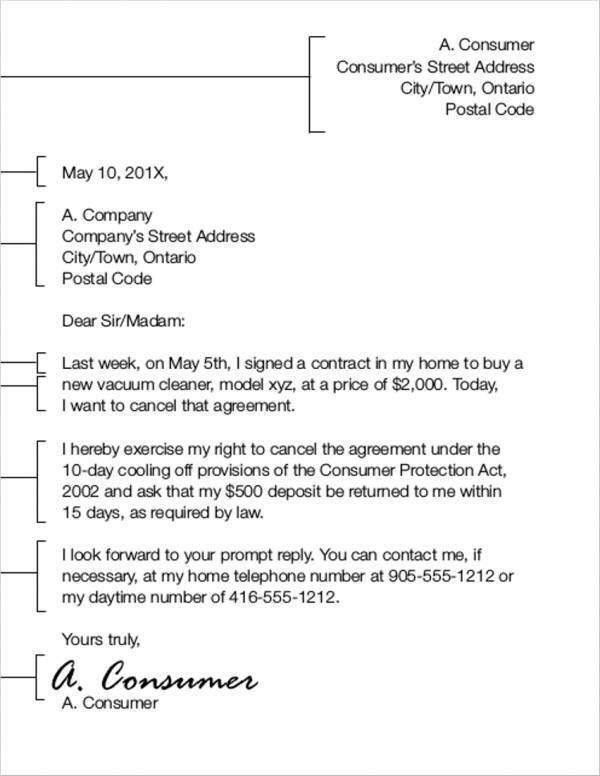 You can check out the seven (7) examples of basic termination letters for contracts below. There are a ton of reasons why one may opt to have a contract terminated. 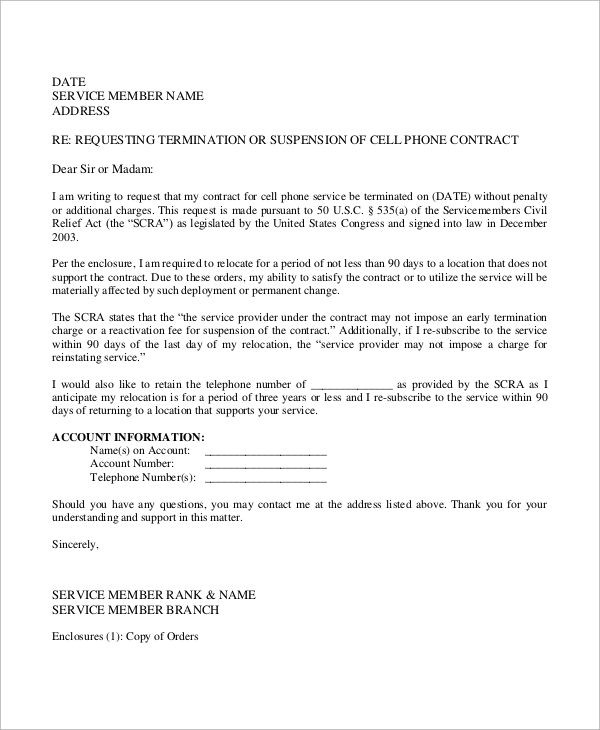 There are certain conditions wherein a contract can get terminated. It can also be terminated if the contract is deemed to be not legal in the first place. But whatever the reason there is for terminating the contract, if you are the one who will be initiating it, then you have to make sure that the termination will result into little to no damages on your part and on the other parties as well. 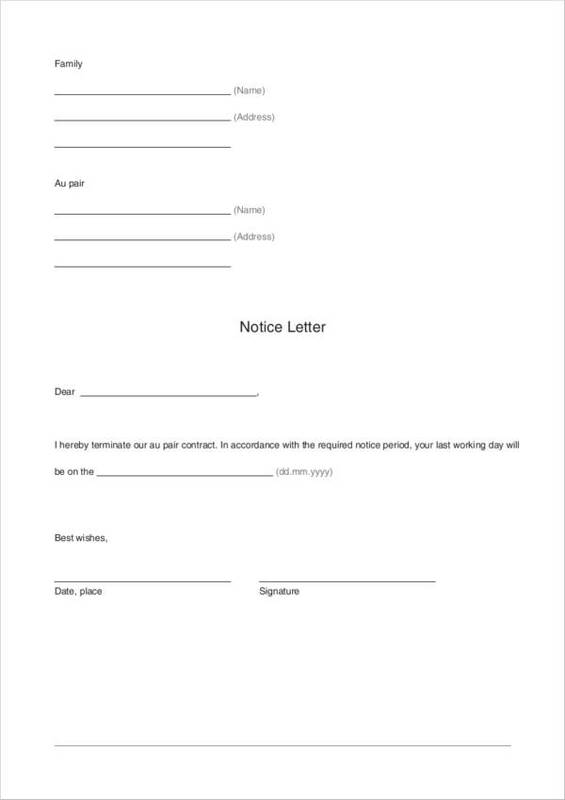 We will give you a few circumstances on how you can terminate a contract in a proper manner. 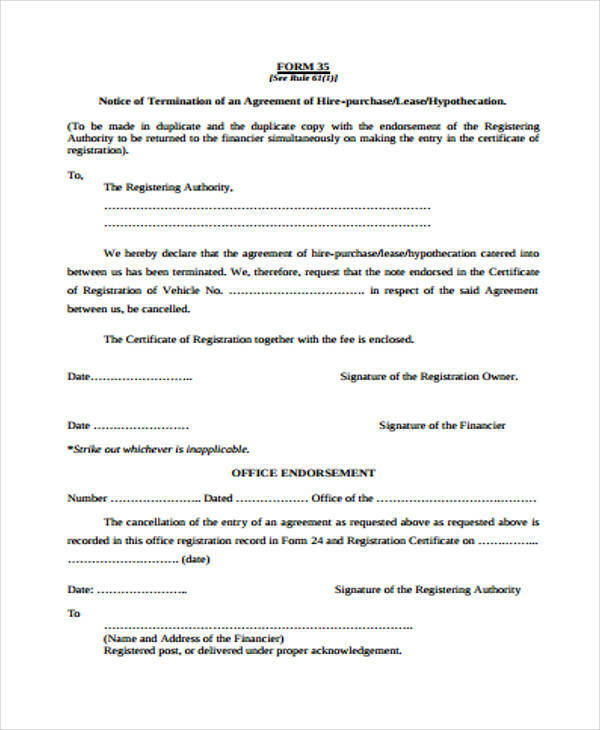 Refer to the termination clause that is stated in the contract. 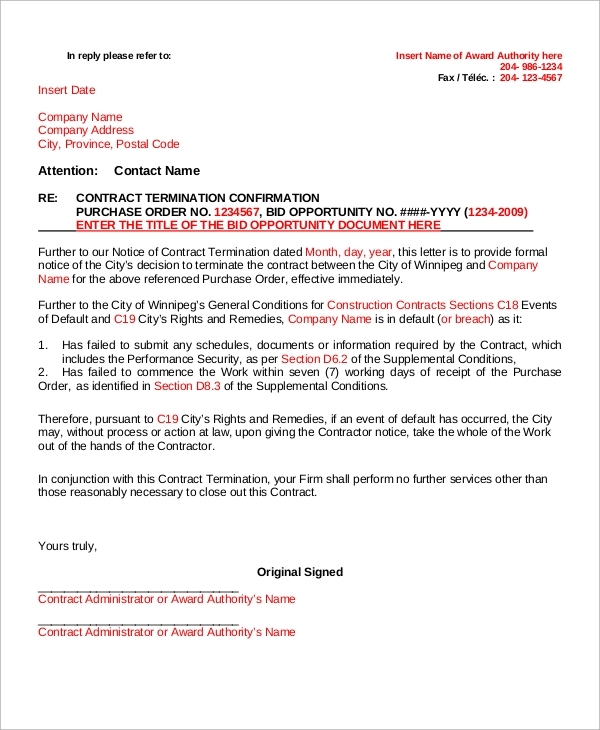 Referring to the clause helps you determine what are the steps that you need to take when it comes to terminating the contract as well as what the corresponding consequences that might arise during the termination process. Such termination clauses may include fees for early termination or breach of contract. Let the other party know if you deem the contract to be impossible to comply. 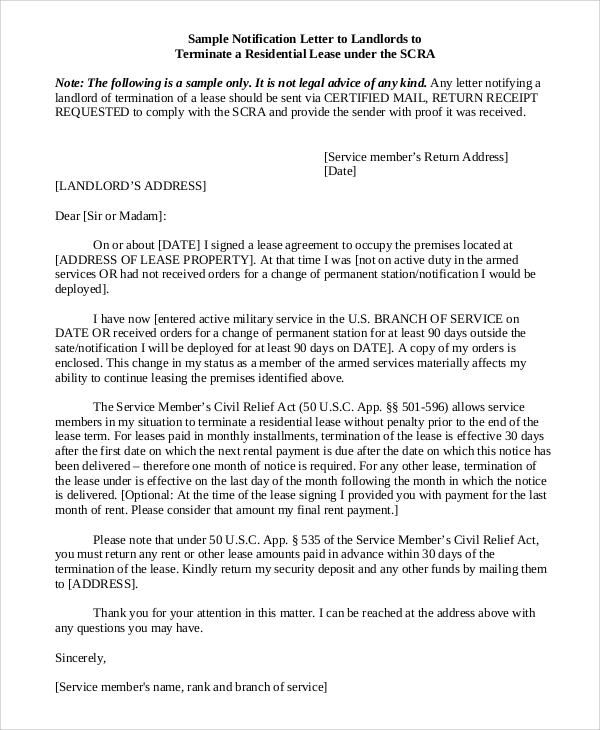 If you are unable to comply with the obligations assigned to you, you have the right to legally end the contract. 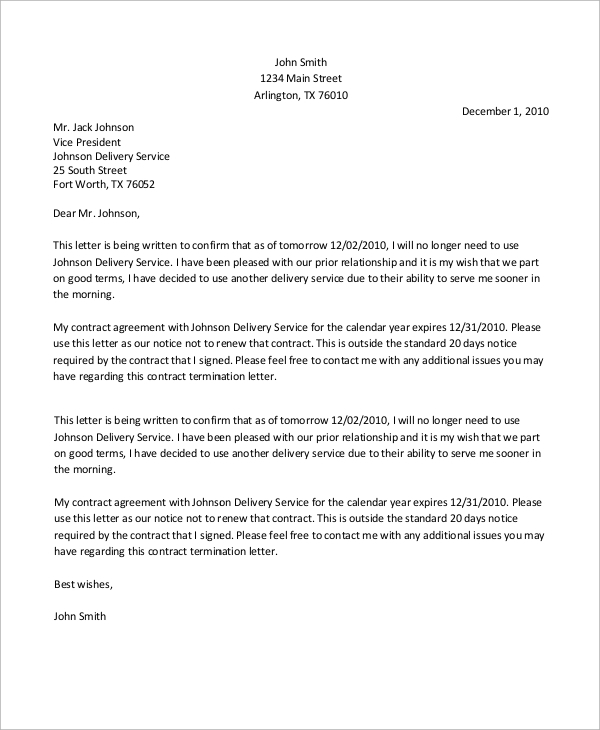 Give your reasons in detail to ensure that the reason you have for terminating the contract is valid. Frustration of purpose claims. A frustration of purpose typically happens when the reason for entering the contract is now nowhere to be found. If you are going to terminate a contract based on frustration of purpose, the parties involved in the contract should be well aware of the purpose of the contract. If one of the parties fail to fulfill his/her obligations stated in the contract, that can be a good and legal reason for you to end the contract without incurring damages on your side. 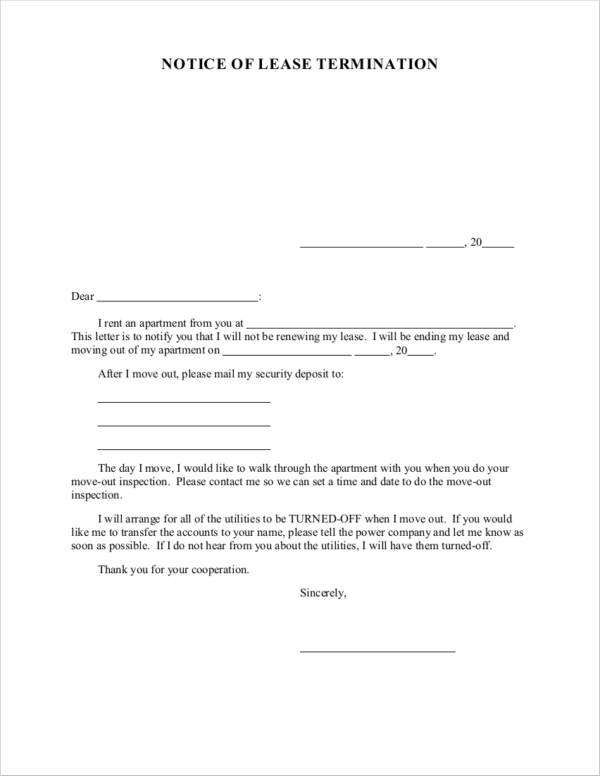 Make sure you let the other person or the other parties involved in the contract know of your plans to want to terminate. Who knows, you might come into a mutual agreement and you may also come up with negotiations that are beneficial for all the parties involved. 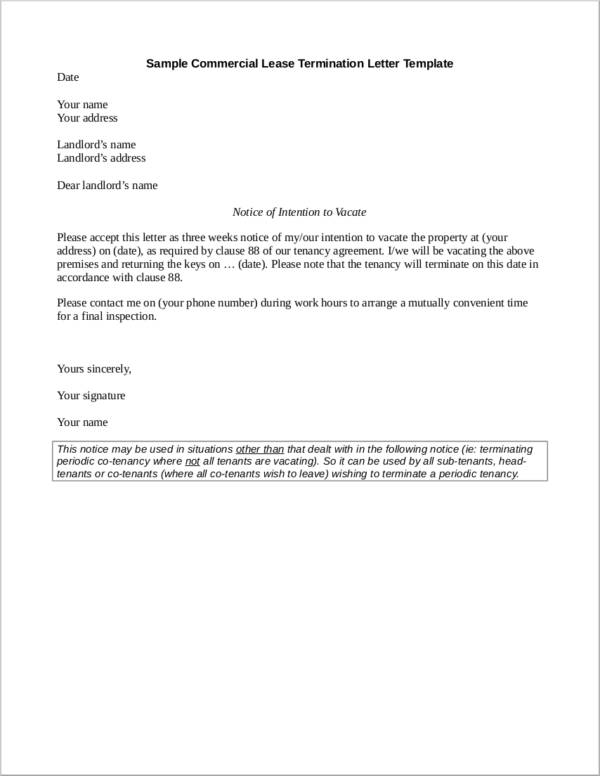 If there has been a breach of contract, do not hesitate to mention this. The person who did the breach cannot contest your reasons especially if proven that there really has been a breach of contract. Cancelling a contract is allowed under any circumstances. If there is a clause regarding cancellation that has been mentioned in the contract, review it to ensure that you are rescinding the contract under valid reasons. If a contract does not mention a cancellation clause, check out the state’s statutes regarding this. 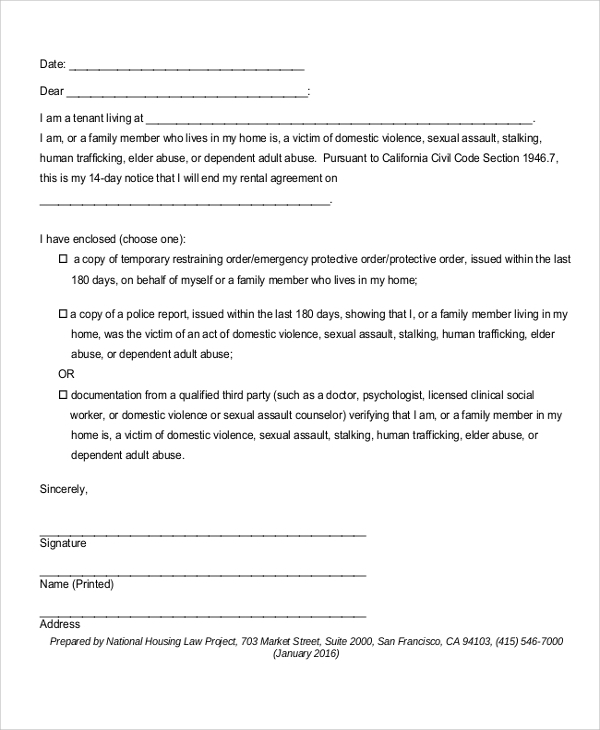 Check with the state’s attorney as well for better legal and professional advise. You will be able to know the amount of time that a person has to cancel a contract. Arrange a cancellation in case there is no cancellation clause or if there are no state laws that addresses this circumstance. Identify the breach and the person who committed the breach. Breach is either a failure to perform obligations and failure to carry out promises and agreements. Reduce damages if the other party has committed the breach. Take legal action against the breaching party. 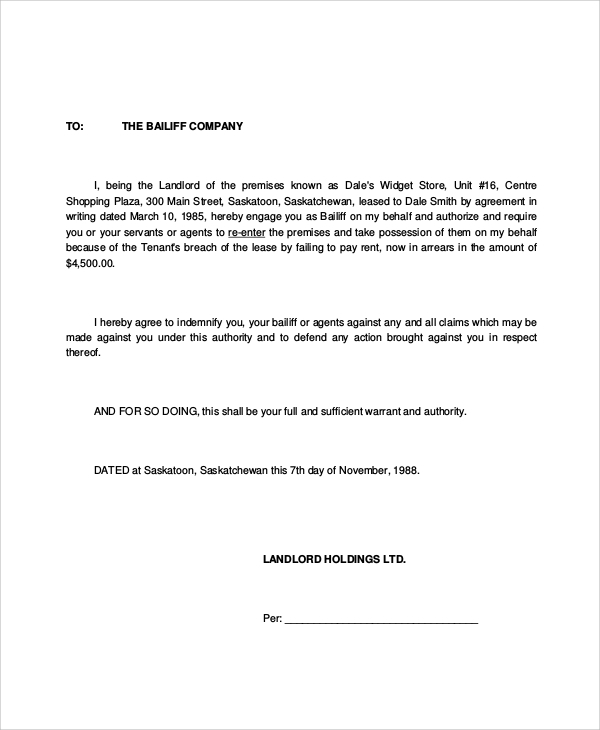 In doing so, have your copy of the contract ready and document all the financial damages as well as other damages that the breaching party should pay. 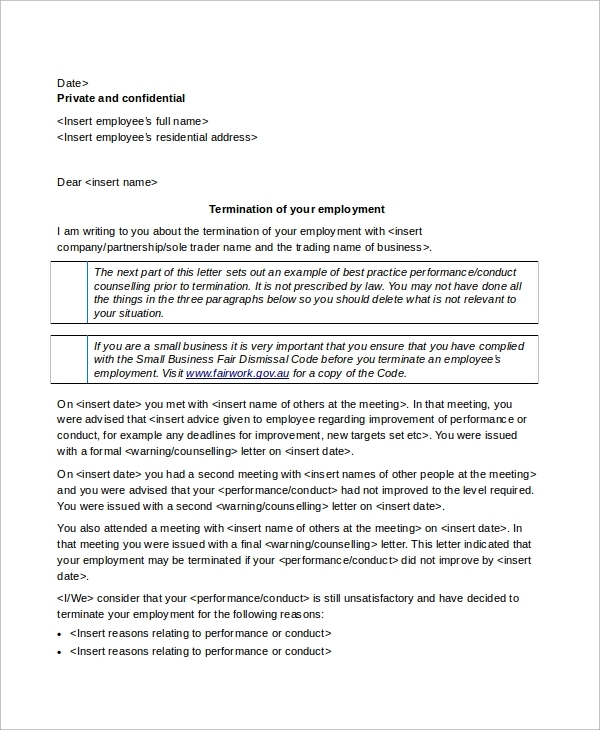 Employment contract termination letters are handed out by an employer to an employee in order to end an employee’s obligations to the company in a formal manner. We have a few samples that you can refer to below. You can also refer to what you need to know about employment contracts in order to ensure that you have a better understanding about what employment contracts are. 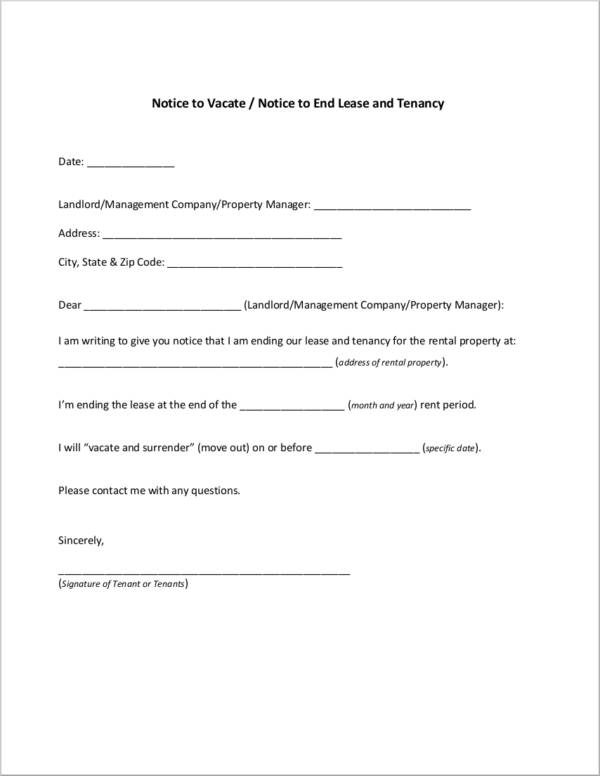 A lease contract termination letter is handed by a landlord to a tenant or vice versa when one of the parties decide to end the contract. 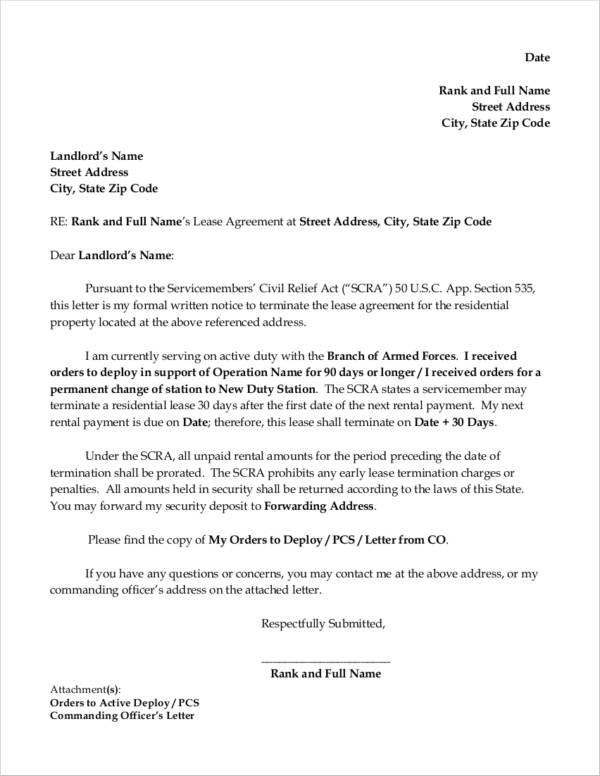 It can either be an early lease termination letter or a termination letter to let the other party know that renewing of the contract is not possible any longer due to certain circumstances. One of the parties refuses to do obligations that has been assigned to him/her. One of the parties tries to block you from doing your obligations. One of the parties is doing an obligation assigned to another party. 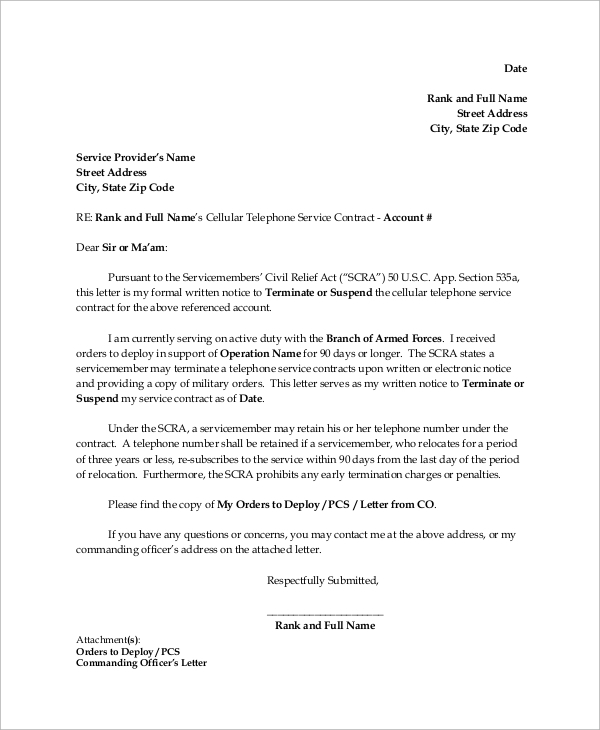 Ending the contact due to prior agreement. 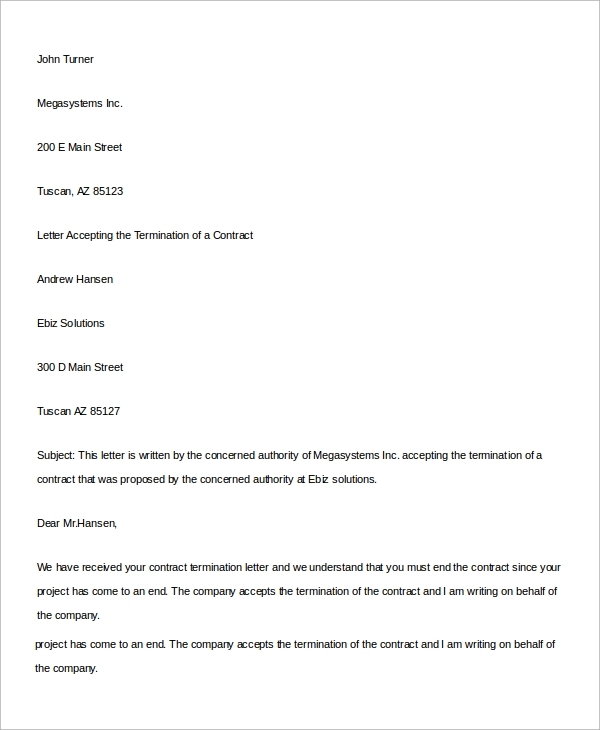 We hope that this article has helped you a lot in determining what you can do when it comes to terminating contracts. 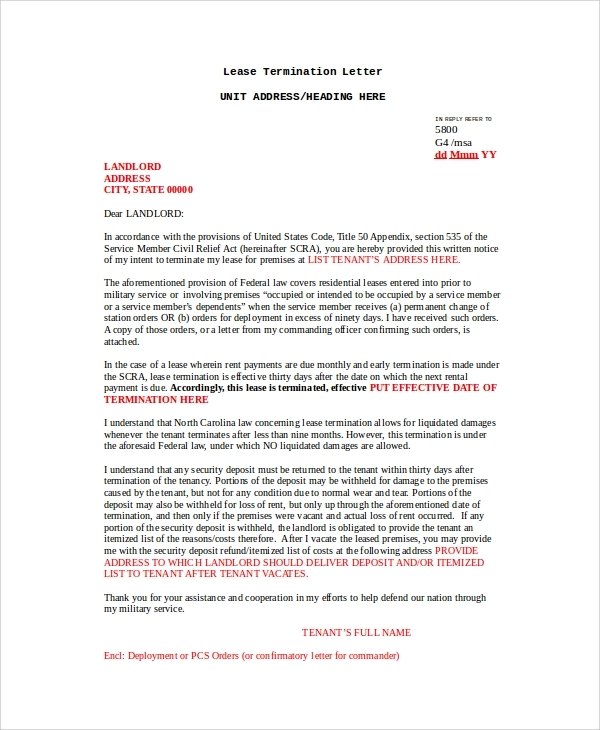 With the sample contract termination letters that we also presented in this article, you are sure to end up with a good termination letter. Just ensure that you check out all of the samples that we have for you in this article. They are all for free so you do not need to worry about cash outs for awesome templates and samples.